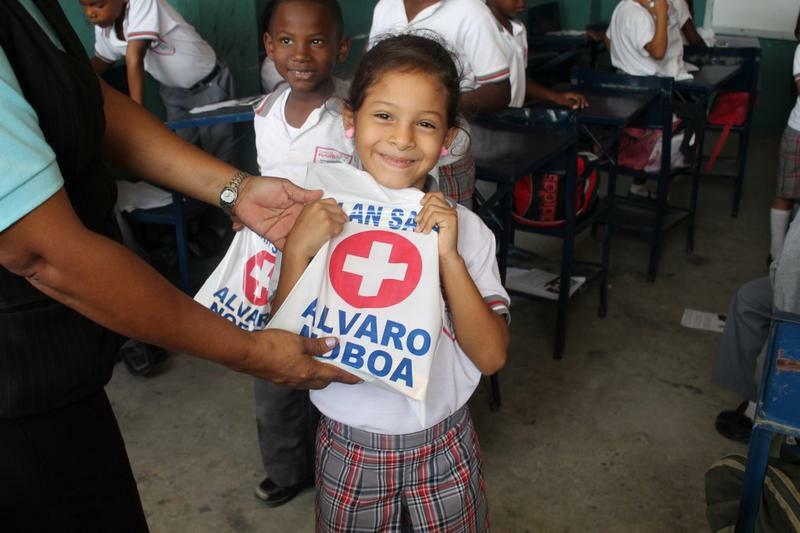 The Foundation Cruzada Nueva Humanidad (FCHN), established and led by Attorney Alvaro Noboa, visited today, the Juan Carlos Luanga School, located in the Trinitaria Island, and carried out an important social work in favour of 125 first graders. 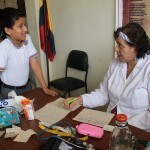 Since 9:00 in the morning, doctors Jenny Arteaga and Virginia Clavijo, did medical check-ups to the children, and them prescribed them the medicine they needed to treat each case. 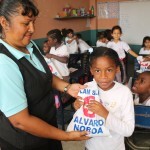 The teachers of the school helped also measuring and weighting the kids. 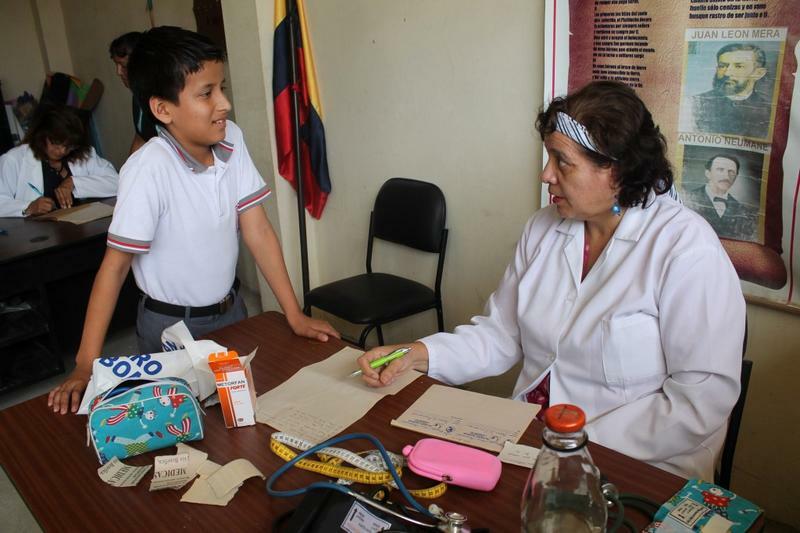 After five hours of medical revisions, all the children were seen by the doctors and prescribed their respective medicines, which were delivered free of charges. 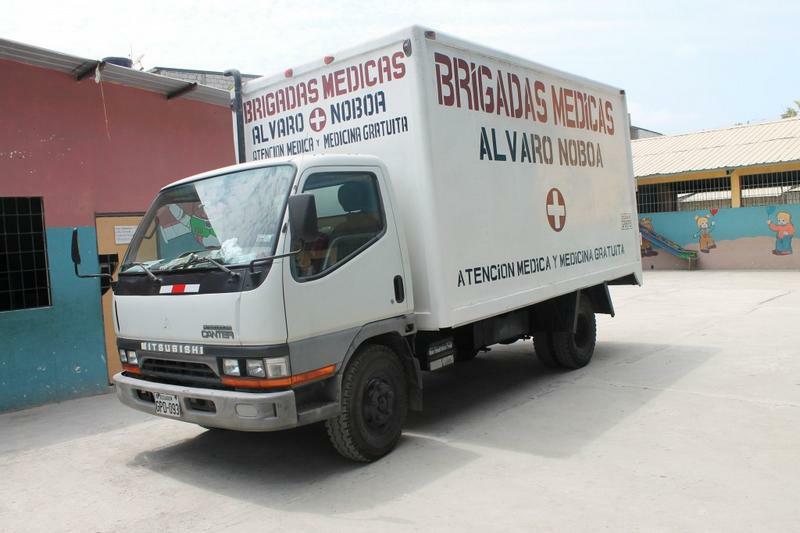 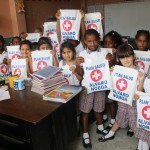 The Foundation Cruzada Nueva Humanidad give away free medicine for the people in need. 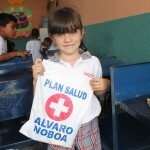 This beautiful little girl lights our mission with her smile. 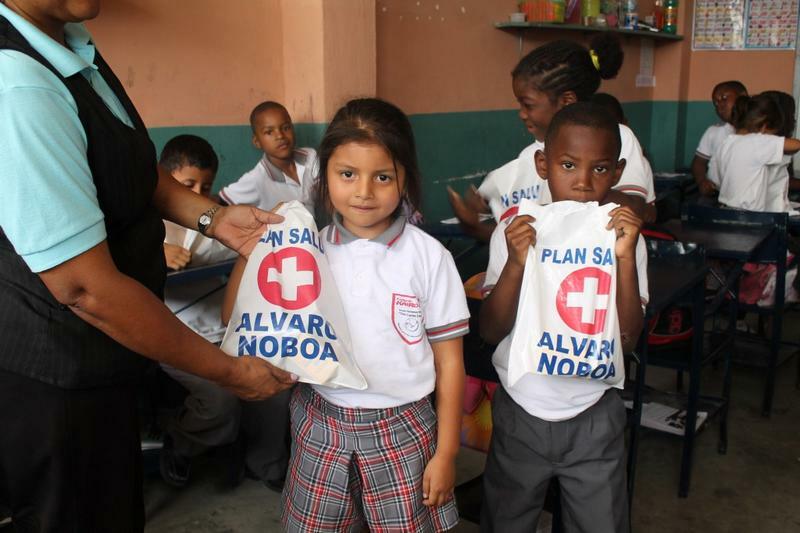 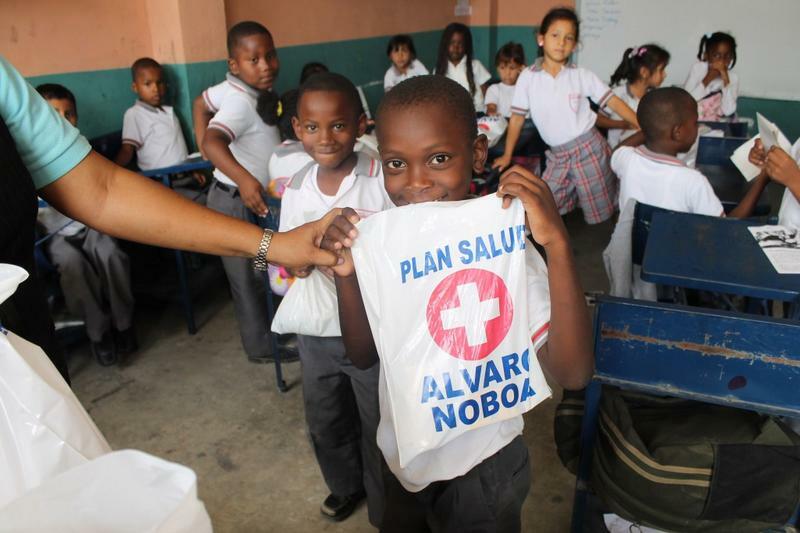 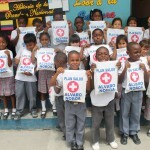 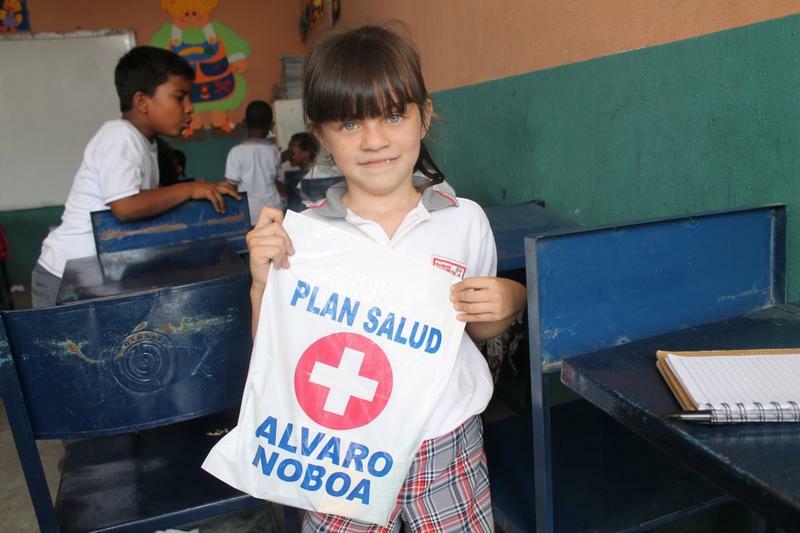 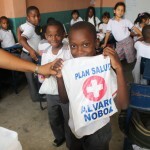 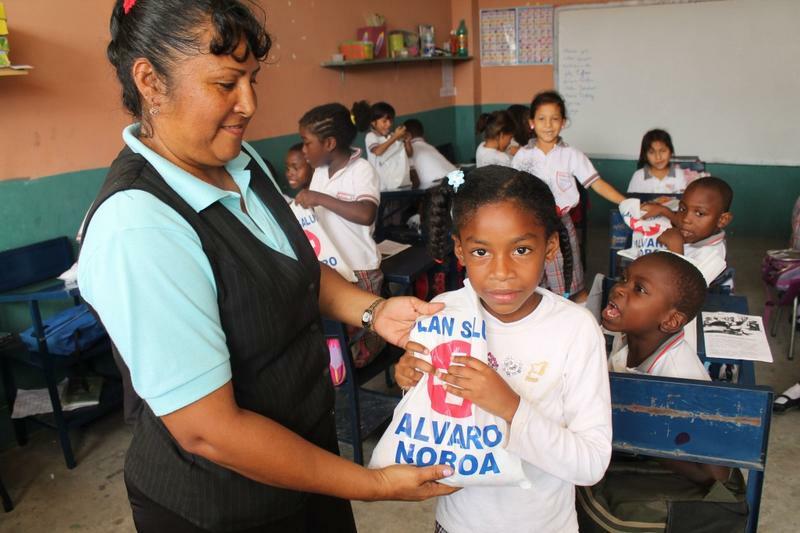 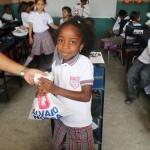 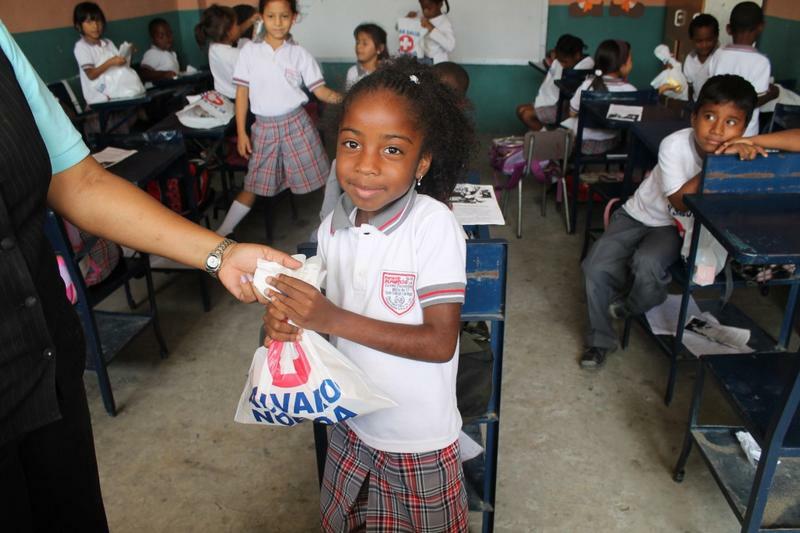 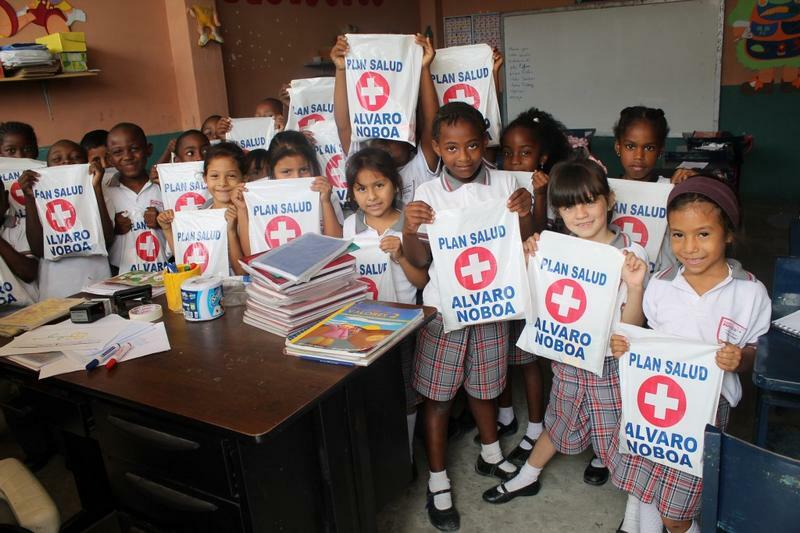 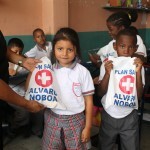 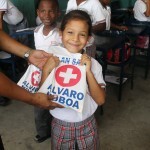 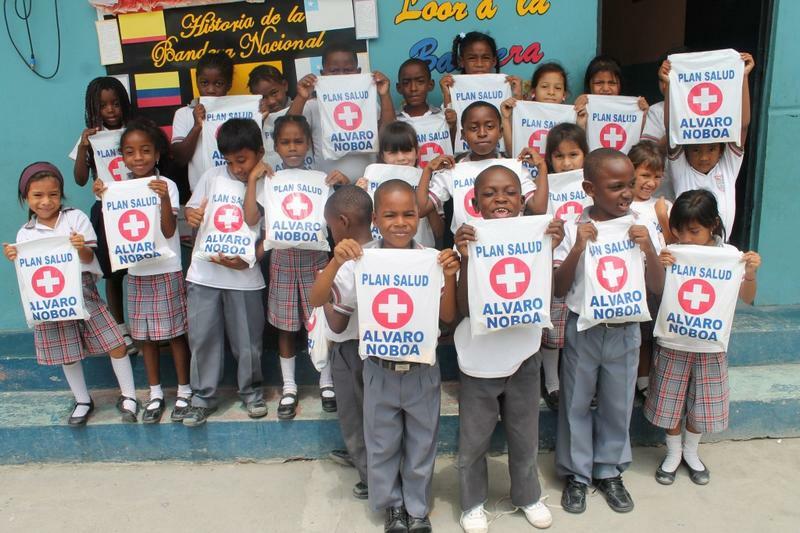 All the kids are grateful for the free medicines they received from Alvaro Noboa’s Foundation. 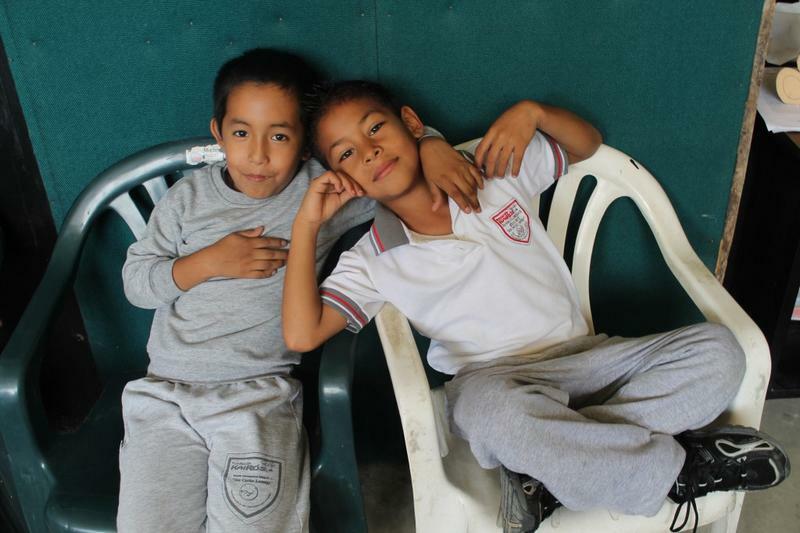 Kids wait for their turns to receive the medical check ups. 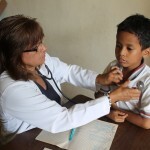 Dr. Virginia Clavijo carry out check ups for all the kids. 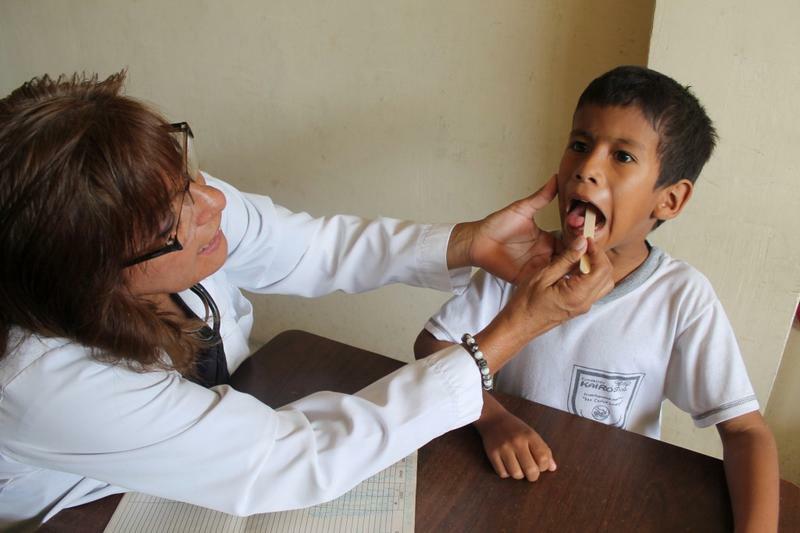 Dr. Virginia Clavijo discovered a lot of flu cases on the little children. 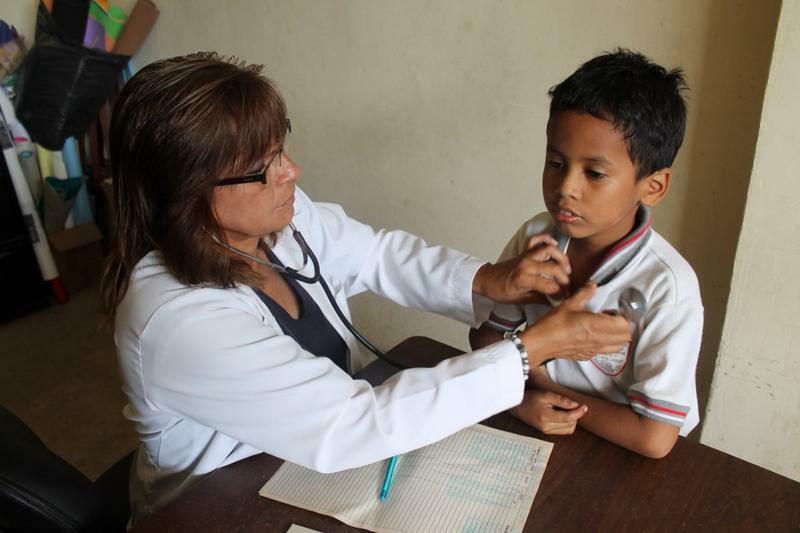 Dr. Jenny Arteaga checked the pressure levels of all the kids. 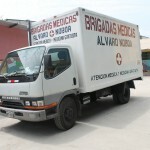 She also discovered several cases of dermatitis.